Going Abroad? Get a Travel CARD..
TRAVEL card, as the name suggests, is a prepaid foreign currency card that makes your overseas trip hassle-free and effective. Just like a debit card or a credit card, travel card gives you an opportunity to load cash in advance by estimating your spendings. Simply put, if you’re overseas, you can withdraw cash using your travel card from any ATM. Before you buy your travel card, make sure you have sufficient knowledge about it. For instance,you may not be able to pay petrol bills and toll taxes through your travel card due to security reasons. So you will have to keep cash or some other card for such payments. It is advisable not to use your travel card for security deposits to clear up your hotel bills. The balance amount in the travel card may get blocked for a month, for no fault of yours. If anywhere there is an option to pay in local currency, you must avail it. If you do not do that, the retailer might convert it into foreign currency, and it will be a loss for you. 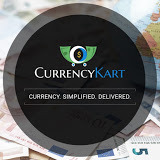 So, it is always advisable to check the currency conversion before proceeding with any transaction. Do remember to change your default PIN before you travel abroad to prevent any misuse. With changed PIN, one can avoid the trouble of getting rejected at overseas ATM counters. So it is better that you complete the process in your home country itself. Whenever you are withdrawing money from your travel card, be careful of the withdrawal charges. In many cases, there is an extra fee on transactions. However, there are cards which offer free withdrawal from any ATM across the globe. Keep track of the available balance on your travel card via any ATM. With technological advancements nowadays, cards come with a facility to show the account details of the customer either online or via SMS. One can also get other details related to travel card through some mobile applications. In case of loss or theft, block your travel card instantly. Do remember to carry a backup card to keep you going in such emergency situations. Last, but not the least, do not forget to check the expiry date of your travel card, which you can find on your travel card itself. It usually expires on the last working day of a particular month.